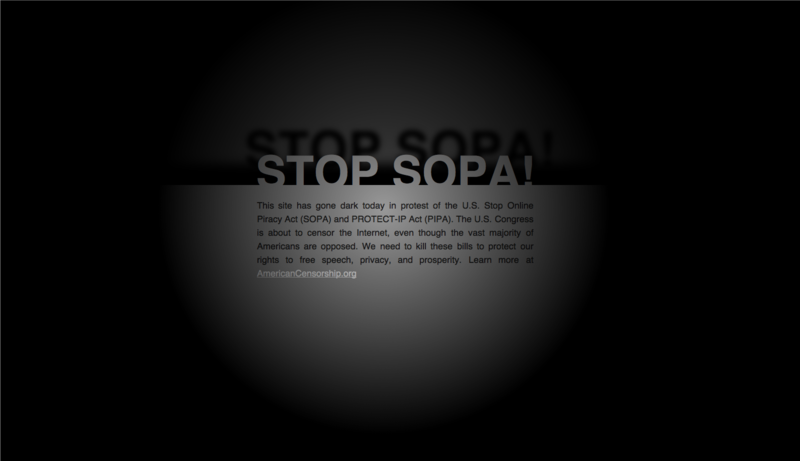 US world police: Stop SOPA! Stop PIPA! WE’RE ALL IN THIS TOGETHER. IT’S OUR INTERNET! Canadian police have apparently used BlackBerry communications to arrest murder suspect Raynald Desjardins in a move seen as an unprecedented use of intercepted data. However, it is unclear whether or not the data was really intercepted or whether it was provided to cops via wiretap warrants. The cuffed bloke has been charged with the murder of Salvatore Montagna, who was killed in November last year and was heavily involved in the New York criminal fraternity according to the Global Montreal. The raid involved searching 14 locations and the arrest of three other suspects, but it’s the interception of BlackBerry data that has attracted most attention. RIM is making the usual noises about respecting users’ privacy and working with law enforcement, but anyone familiar with how RIM’s network operates shouldn’t be surprised by the abilities of prying detectives. The Canadian police seized at least one BlackBerry during the raid, and once one has possession of the handset then extracting the onboard data is relatively easy, especially if the plod remember not to turn it off, and secure it in a radio-proof bag, as they’re supposed to. But the Canadians probably had access to the communications before they got the handset. RIM’s architecture only secures email communications when routed through a privately-owned BlackBerry Enterprise Server (BES). We don’t know if this lot were routing things though their own server, but if not then everything would be routed though RIM’s own servers which are open to lawful intercept like any telecommunications hub. But it is BlackBerry’s instant messaging service (BBM) that most people seem to (inappropriately) trust, and which is alluded to in the report. BBM is indeed encrypted end-to-end, so should be resistant to intercept, if it weren’t for the fact that it relies on a single, shared, secret which is embedded in every BlackBerry device. That secret is also know to RIM, which can (be obliged to) decrypt traffic just like everyone else. These days everyone from London rioters to New York Mafiosi should know that electronic communications is rarely secure from court-backed eavesdropping, but perhaps it’s better they don’t. Canadian coppers told the AFP they would not confirm whether they had cracked BlackBerry’s encryption or whether RIM had given them access to its secure servers. The prosecutor in the case was reported by La Presse as saying (French) that he would “advocate for preventing the disclosure of wiretap warrants” and refuse questions from defence attorneys on the subject. 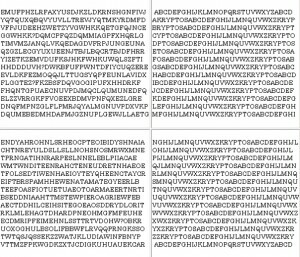 Kryptos sleuths may finally get some help cracking the CIA sculpture that has confounded amateur and professional cryptographers for two decades. Artist Jim Sanborn, who created the cypher sculpture in 1990 for CIA headquarters in Langley, Virginia, plans to release a new clue to help puzzle detectives solve the last 97 characters of his masterpiece. The new clue is to be revealed in a New York Times article this weekend, to mark the 20th anniversary of the sculpture, which was dedicated Nov. 3, 1990. It will be the first clue Sanborn has revealed in four years, after he corrected a typo in his sculpture in 2006 to keep crypto detectives from being derailed in their search for solutions. Sanborn wouldn’t disclose the clue to Threat Level but said only cryptically that it will “globalize” the sculpture. Asked if this meant it would take the sculpture off the CIA grounds and out of the United States, he conceded it would. Sanborn said he’d been thinking about revealing a clue for a long time but couldn’t decide on the right occasion until the 20th anniversary and his birthday coincided in the same month. “I don’t have that many decades … left in me,” the 65-year-old artist said. The 12-foot-high, verdigrised copper, granite and wood sculpture is inscribed with four encrypted messages, three of which have been solved. 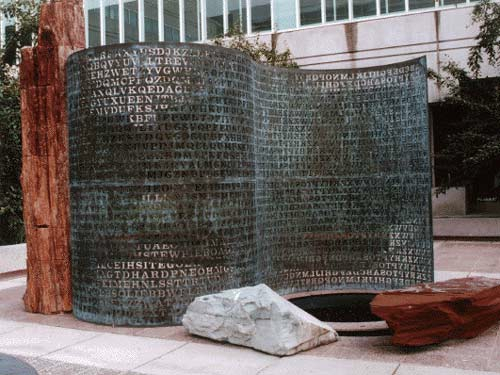 The sculpture’s theme is intelligence gathering (Kryptos is Greek for “hidden”). It features a large block of petrified wood standing upright, with a tall copper plate scrolling out of the wood like a sheet of paper. At the sculpture’s base is a round pool with fountain pump that sends water in a circular motion around the pool. Carved out of the copper plate are approximately 1,800 letters, some of them forming a table based on an encryption method developed in the 16th century by a Frenchman named Blaise de Vigenere. Sanborn sells replicas of the sculpture for $150 at the International Spy Museum in Washington, D.C., and other locations (see photo below of prototype taken at Sanborn’s home in 2006). In 1998, CIA analyst David Stein cracked three of the four messages using paper and pencil and about 400 lunch-time hours. Only his CIA colleagues knew of his success, however, because the agency didn’t publicize it. A year later, California computer scientist Jim Gillogly gained public notoriety when he cracked the same three messages using a Pentium II. The first section is a poetic phrase that Sanborn composed. The second hints at something buried: “Does Langley know about this? They should: It’s buried out there somewhere.” The third section comes from archaeologist Howard Carter’s diary describing the opening of a door in King Tut’s tomb on Nov. 26, 1922. But for 20 years, the fourth section of the puzzle, consisting of 97 characters, has remained unsolved. The clue Sanborn spills this week may help untangle the message, but won’t necessarily solve the puzzle. This is because the text hides a riddle, which Sanborn has said requires sleuths to be on the CIA grounds to solve it. Only two other people were said to know the solution to Kryptos. CIA cryptographer Ed Scheidt helped Sanborn choose and alter the coding techniques for the sculpture. And former CIA director William Webster received a sealed envelope containing the solution at the sculpture’s dedication. In 2005, Sanborn revealed to Wired.com that a decrypted line in the sculpture referred to Webster: “Who knows the exact location? Only WW.” But Sanborn also said at the time that Scheidt, now a retired chairman of the CIA’s Cryptographic Center, and Webster only thought they knew the solution. The encrypted sections include intentional spelling errors and misaligned characters set higher on a line of text than characters around them. But in 2006, Sanborn realized the sculpture contained an inadvertent error, a missing “x” that he mistakenly deleted from the end of a line in section two, a section that was already solved. He discovered the omission while doing a letter-by-letter comparison of the plain text and coded text in preparation for a book about the life of the sculpture. The “x” was supposed to signify a period or section-break at the end of a phrase. Sanborn removed it for aesthetic reasons, thinking it wouldn’t affect the way the puzzle was deciphered. In fact it did. What sleuths had until then deciphered to say “ID by rows” was actually supposed to say “layer two.” The correction hasn’t helped anyone solve the rest of the puzzle, however, in the subsequent four years. In conjunction with the new clue release, Sanborn is launching a website for the sculpture to provide an automated way for people to contact him with their proposed solutions to the puzzle. Over the years, numerous people who were convinced that they’d solved the final puzzle section have contacted him. One woman even showed up at his secluded home on an island. Most of the solutions people have offered have been wildly off-base. Sanborn says that with the launch of his new site, anyone who thinks they’ve solved the last section will have to submit what they believe are the first 10 characters of the final 97 before he will respond. 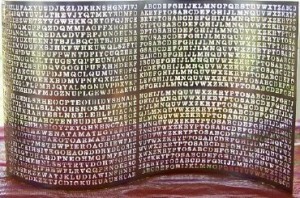 Sanborn has produced a number of other cypher sculptures, in addition to Kryptos. But his most recent work has focused on recreating the 1939 experiment at the Carnegie Institution of Washington that resulted in the first fission of uranium using a particle accelerator. His working accelerator can be seen at the Museum of Contemporary Art in Denver, Colorado. Freedom Against Censorship Thailand (FACT) was founded on November 15, 2006 on the basis of a petition against Internet censorship which was presented to Thailand’s National Human Rights Commission and later to the Official Information Commission under a military coup government. The NHRC was disbanded by the coup and government officials refused illegally to cooperate with the OIC. FACT has never deviated from its opposition to all censorship in Thailand and everywhere else. FACT’s original petition is now largely of historical interest. FACT’s working group has now prepared a Mission Statement, our statement of principles and purpose to replace our original petition. FACT now has more than 1,500 signers. If you have signed FACT’s petition, there is no need for you to sign again. However, if you have not signed, we urge you to sign FACT’s petition, and ask your friends, family and colleagues to sign. FACT’s petition is open to all. For your signature to be counted, you must sign your FULL NAME in Thai and English, your affiliation, your location and your email address for verification. FACT’s petition is hosted on FACTsite, with the Asian Human Rights Commission and at Change.org. Please join us if you believe in FREEDOM. You have nothing to lose but your fear…and your chains. These rights are universal: freedom of speech; freedom of expression; freedom of communication, including the Internet; freedom of association, including virtual association; media freedom, including the blogosphere; academic freedom, including digital learning; freedom of opinion; freedom of thought; freedom of ideas. A free Internet is our fundamental human right. Free expression is not a crime. FACT supports all media, including the Internet, free of interference or regulation as the best means of participatory democracy possible. Every person deserves an equal voice and has a right to privacy and anonymity. These are our basic liberties. FACT believes in transparent, accountable and democratic government. All people deserve freedom from fear. We have the fundamental human right to unrestricted knowledge, knowledge without borders, boundaries, limits. A fully-informed public with access to all opinions is an asset to both our national and the international community. Education, knowledge and information are never a threat to national security. 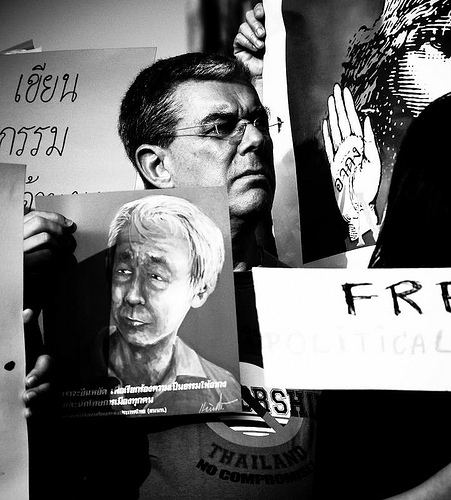 Censorship in Thailand conceals a hidden political agenda used to repress dissent. Censorship reinforces social, class, gender, religigious and economic divisions which, suppressed, are root causes of violence in Thai society. Abduction, kidnap, torture, forced confessions, disappearance, extrajudicial murder, the death penalty, are the ultimate censorship. We support reconciliation in the human community. FACT celebrates human diversity: all views share equal validity, if only for one person. Open minds, open hearts. FACT believes most human beings choose good over evil. We believe applying community and family standards to Thai society will result in personal responsibility, the full development of our children and a truly free society. Censorship is a clear violation of our fundamental human rights, civil liberties and basic freedoms. NO COMPROMISE: Stop censorship NOW! Thai Immigration website is reported as an attack site by Google and FireFox. Thaivisa has several times tried to contact with the IT section of the Immigration Bureau, but to no avail. Internet access in Thailand is not always easy, and can be dangerous as well. Last week the Bangkok post website was listed as an attack site by Google and Fire Fox. Recently the website of Thailand Immigration Bureau was found being reported as an “attack site”. Of their 1376 pages Google tested on the Thai Immigartion site over the past 90 days, 133 pages resulted in malicious software being downloaded and installed without user consent. The last time Google visited this site was on 2009-12-13, and the last time suspicious content was found on the site was on 2009-12-12. Malicious software on the Thai Immigration website includes 49 exploits, 40 scripting exploits and 32 Trojans, according to Google and FireFox. On another note, The Ministry of Information and Communication Technology is today blocking websites hosted in USA. MICT is redirecting the blocked traffic to their website http://mict.go.th, and instead showing a portrait of HM the King of Thailand together with well wishes for His Majesty’s birthday. Using proxy servers and trying to circumvent government blocked websites is a criminal offense in Thailand.